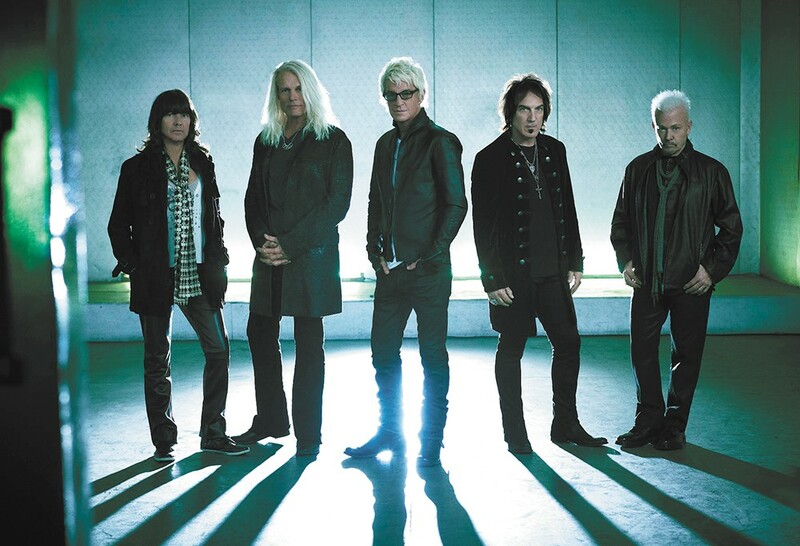 They still can't fight the feeling: Soft rock legends REO Speedwagon bring all their '80s hits to Northern Quest next week. REO Speedwagon's monster chart-topping power ballad "Can't Fight This Feeling" has been stuck in my head since junior high. So ubiquitous was that song during the mid-'80s — on MTV, pop radio and the sound system of every school-dance deejay — that it blinded me to just how massive REO Speedwagon was before that song arrived. For me, REO Speedwagon was all about just that song, and asking a girl named Kristy to slow-dance to it at an Omaha "sock hop." It was all very Midwestern. She said yes, and I give all credit to REO's schmaltzy tune and their popularity at the time. And clearly I wasn't alone in tapping into singer Kevin Cronin and Co.'s smooth rock moves for romantic inspiration. For more than 50 years, the Illinois-bred band has delivered bombastic rockers and swooning power ballads for audiences spanning the globe. REO's tunes like "Keep on Loving You," "Roll with the Changes" and "Riding the Storm Out" remain staples on classic-rock radio. During their career, they've persevered through several lineup changes (although none since the late '80s). They've enjoyed hit albums and massive radio and MTV popularity bookended by periods of, shall we say, commercial obsolescence. And they've remained a consistently successful live act even when they don't have new music to play. "We've never stopped touring," says keyboardist Neal Doughty, the only original member remaining from REO's first gig in 1967, by way of explaining their ongoing appeal. "This has been a constant for 50 years. We've never taken a year off of touring. "As long as the audiences are unbelievably good, we can't stop." By that metric, don't expect REO Speedwagon to quit any time soon. The band's show at Northern Quest Resort & Casino sold out well in advance, and they have tour dates already scheduled into the fall of 2019. Doughty says the only way he can see the band slowing down is if audiences stop showing up, and when a band's catalog of hits is deep enough to thrill several generations of fans, there's no real good reason not to continue playing gigs with your buddies. "There are kids who aren't even teenagers yet, and not only are they there [at the shows], they're singing along with every song and they know all the lyrics," Doughty says. "We feel very lucky. We do not take that for granted." Besides, the five guys in the band are having the time of their lives when they're on stage. As Doughty puts it, there are "no ego battles" going on because "friction in a band usually happens when you're making a new album." While REO occasionally produces a new song, their last proper album (not counting a 2009 Christmas collection) was 2007's Find Your Own Way Home. That's not to say people aren't buying REO Speedwagon albums: They're just still buying the albums that made the band superstars in the '80s. Hi Infidelity — REO's 1980 album and home to hits like "Take It on the Run" and "Don't Let Him Go" — was in 2017 certified "diamond status" by the Recording Industry Association of America for selling 10 million copies. Talk about a slow burn. Hi Infidelity is noteworthy not only for its commercial success, but for the fact that success came on the band's ninth album. Can you think of another band whose biggest hit came 13 years into its career? Reflecting on that album all these years later, Doughty still recalls how making Hi Infidelity felt different right away, in a good way. "Usually when we finished [recording] an album, by the time we were done I was just sick of the thing," Doughty says. "I didn't want to hear it again for a year. But when we were done with Hi Infidelity and I listened to the whole album, it was immediately my favorite." The original print version of this article was headlined "Rolling Through Changes"